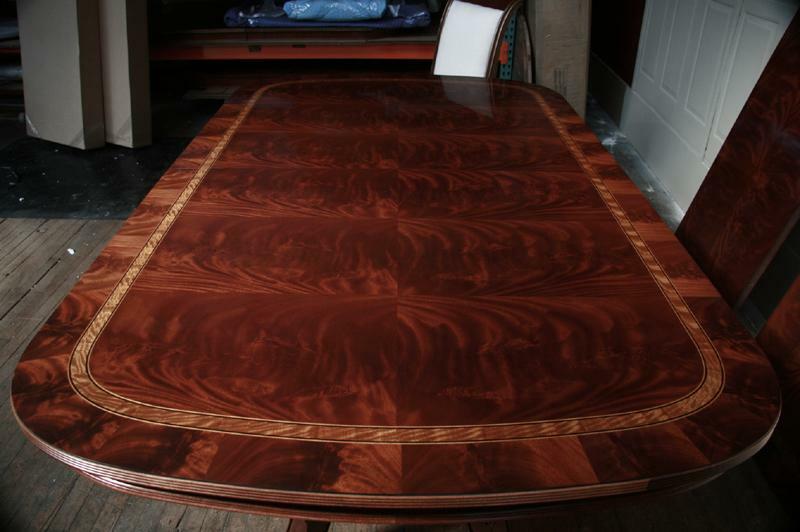 dining table with leaves in place. 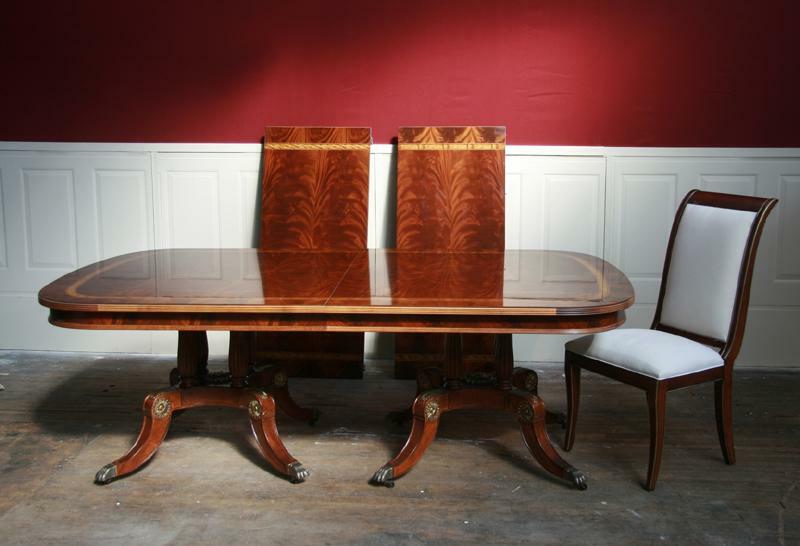 Description: Dining table shown here with 2 leaves and sitting on custom made gold leaf detailed pedestals. This table is like new, but it is a used table. It is in showroom condition. 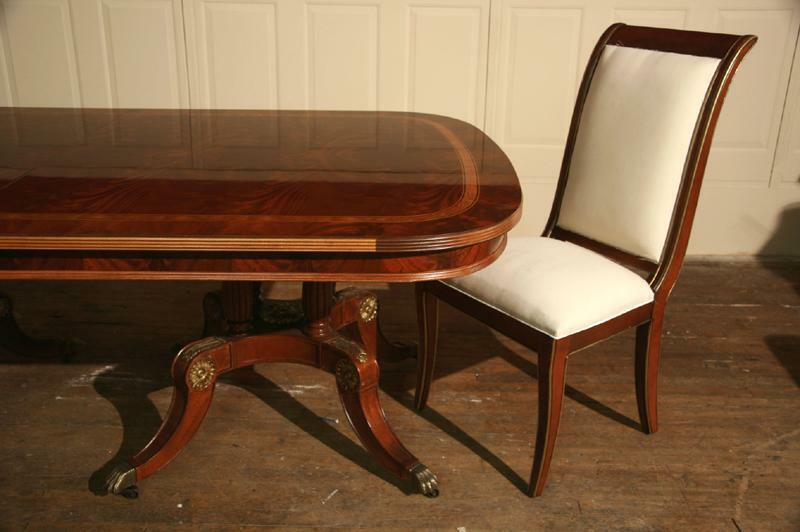 Multi-banded extra wide Duncan Phyfe pedestal table. 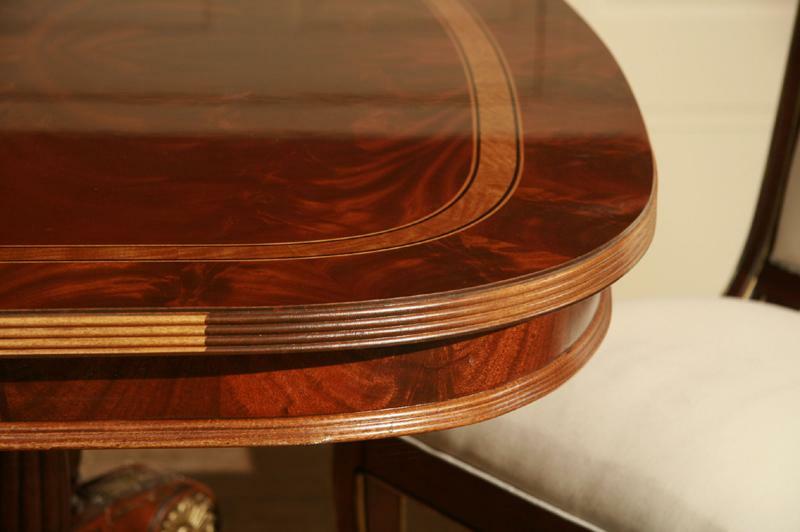 This table is immaculate. 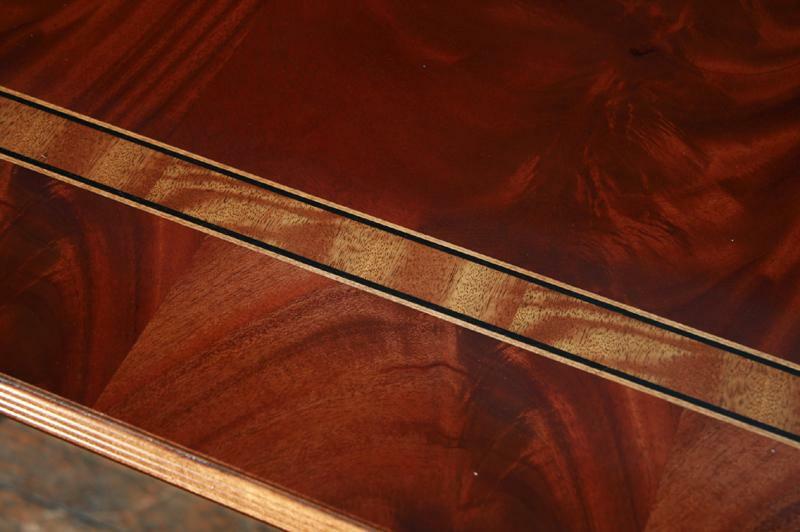 It is an American made dining table and it has a great finish. 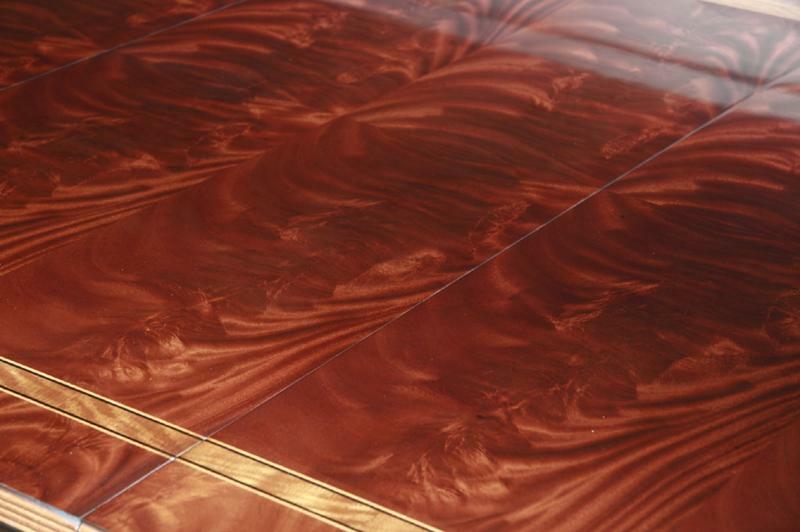 This table has a flame mahogany apron. 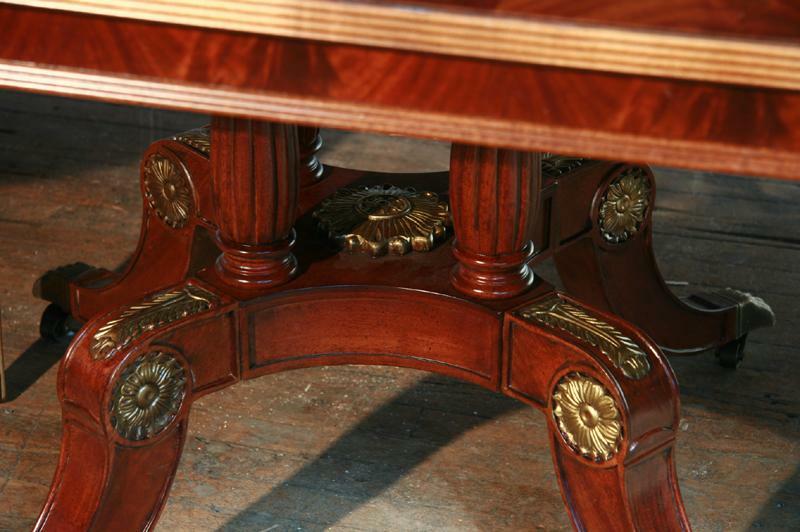 It stands on a pair of bird cage Duncan Phyfe pedestals which have gold leaf details. 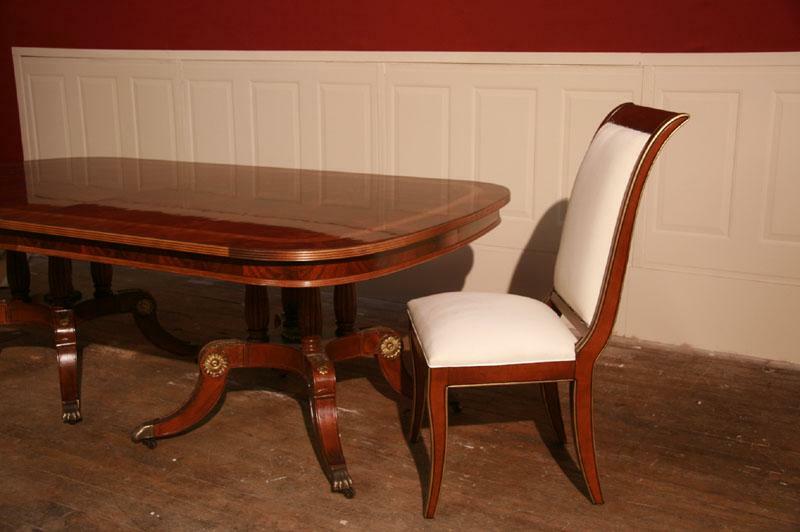 This Dining Table sold almost as soon as it hit this website, and we have been working on a reproduction for those who have been requesting this model and do not want to wait for another one. Well, our reproduction furniture is finally here. 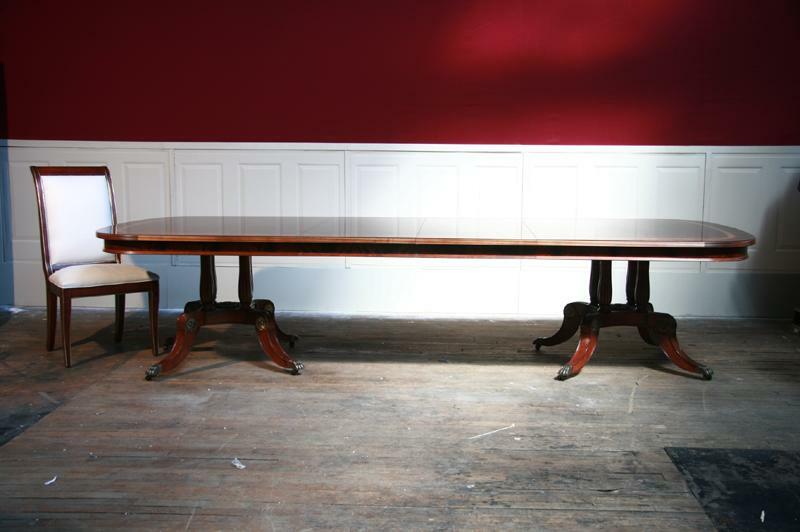 We can offer a table similar to this in style and quality, but it will not be a Dining room table, and it will have more than two leaves. 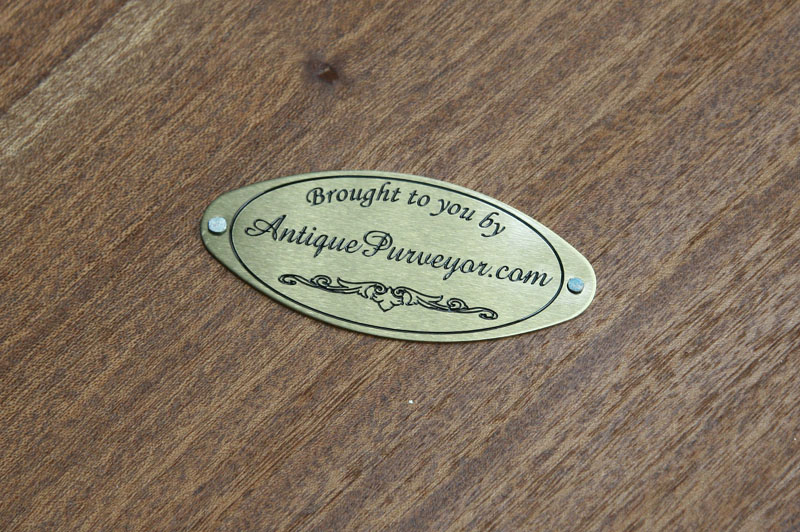 Our replacement table for the will be our own American made dining table with three leaves. Not only does our reproduction have more leaves, but it also has a different field which is less exotic and less busy. 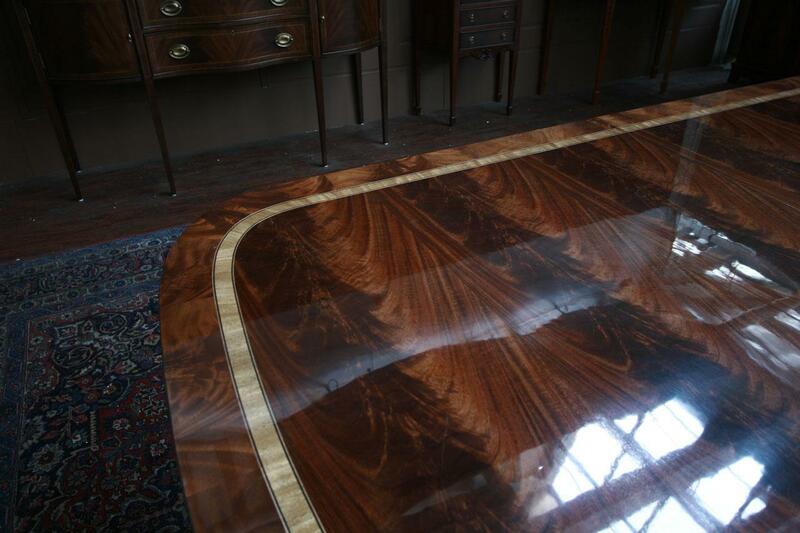 The available table will post on our website as a model LH 4 and it is awesome. Measurements: 85"L x 51"Wx30"H and opens further with two 22" leaves.